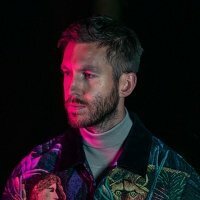 Dance/ crossover sensation Calvin Harris last week announced his first major UK tour since 2007. The Scottish singer/ producer/ electronic musician and not-to-mention in-demand remixer - will set-off on the sixteen date UK tour from 15th October. Latest single 'I'm Not Alone' from the yet-to-be-released-and-named 2009 album is still sitting pretty in the top 20 months after it was released and hit the top of the charts. Calvin, who shot to fame with the electro-retro 'Acceptable in the 80s' also proved a winning formula for Dizzee Rascal with the groove-tastic 'Dance Wiv Me', which also hit the top spot. Catch Calvin on tour this October/ November, starting on 15th October at University of East Anglia in Norwich, then calling at Bournemouth, Oxford, Bristol, Preston, Leeds, Newcastle, Manchester, Nottingham, Brighton, Birmingham, Sheffield, Aberdeen, Inverness, Dundee and Glasgow. Tickets for the tour cost £14 and are on sale now. You can also catch him this weekend at Capital's Summertime Ball at the Emirates (if you already have a ticket, that is) or next month at the Royal in Derby or T4 on the Beach (again, only if you already have a ticket). He's also amongst the line-up for this year's Creamfields in Cheshire. Fri 31st May 2019 Carl CoxThe Telegraph Building (Belfast)More Info..